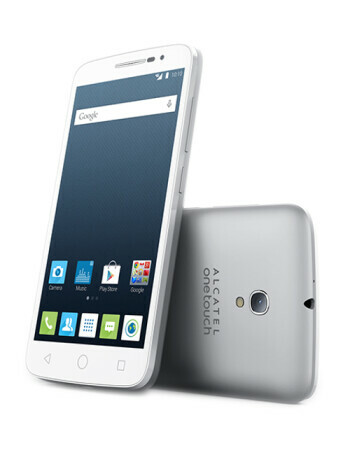 The Alcatel OneTouch POP 2 (5) is equipped with a 5-inch display with a resolution of 480 x 854. A 64-bit quad-core 1.2GHz Snapdragon 410 CPU is under the hood. A 5MP camera adorns the back of the phone while a .3MP camera can be found in front. There is a dual SIM option and a one-finger zoom capability. A 2500mAh battery is included, and Android 5.0 is pre-installed. Color covers and a Flip Cover are accessories offered for the device. This handset supports 4G LTE Cat. 4 connectivity.